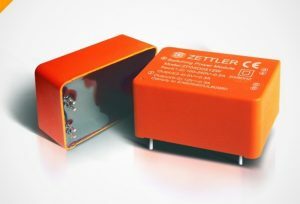 Posts by PR Contact | ZETTLER MAGNETICS, INC.
ZETTERs customer, a global leader in wireless communication protocols, selected a 1 watt SMPS from Zettler’s new HP01 series to power the control unit of their new wireless sensor solution for building automation and smart homes. 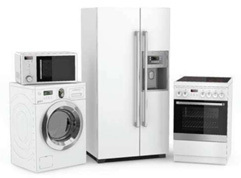 The application wirelessly controls light switches, thermostats and almost any IoT device. 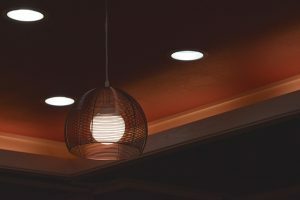 The customer required a compact package, energy efficiency and competitive pricing to compete in the competitive market of wireless connectivity. 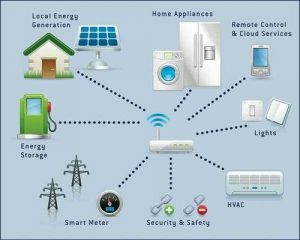 ZETTLER’S encapsulated SMPS series are a compact, energy efficient, plug & play solutions for the IoT market. 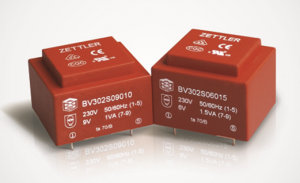 Zettler’s versatile range of encapsulated switching power supplies offer a wide input range up to 90-305VAC for universal coverage, a high ambient temperature rating up to 85C at full rated load and an energy efficient low stand by power of custom solutions and zero cross detection are also available. 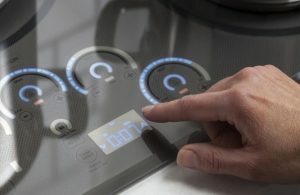 to accommodate the sleek and modern design of the control panel of the application. The trend towards using renewable energies continues unabated, especially in a broad global push for rechargeable electric vehicles. In the development of an IC CPD (In-Cable Control and Protecting Device) for the charging cable of an electrically powered vehicle, a leading automobile manufacturer, replaced a previous design element with a current sensor from the ACST series manufactured by ZETTLER Magnetics. The previous design featured a sensor in which the electrical conductor had to be routed through the core, resulting in significant assembly effort in association with high costs. With the ACST series current sensor from ZETTLER Magnetics, the conductor (primary winding) is already integrated into the sensor, thereby allowing it to directly detect the current being applied to the printed circuit board. Another design requirement, increasing the cross-section of the primary winding necessary for detecting currents of up to 32A, was also realized. Apart from the height, it was possible to preserve the dimensions of max. 20.5 x 17.5 mm. The height had to be increased from 16.4 mm to 20.0 mm due to the attachment of an additional plastic hood to assure reliable insulation of the primary winding. This application example demonstrates, once again, the versatility of Zettler Magnetics components, and our ability to find pragmatic and highly effective engineering solutions for our customers. For more information about products manufactured by the ZETTLER Group that are used in e-mobility applications, please visit www.ZETTLERelectricvehiclerelays.com. 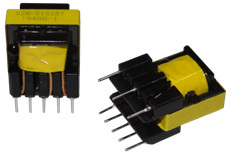 For similar solutions or to discuss the wide variety of application opportunities for the range of ZETTLER Magnetics Transformers, please contact us. A leading designer and manufacturer of central vacuum systems in the residential and commercial market required a low frequency power transformer that offers good heat dissipation, in a compact size, with a UL class II rating. 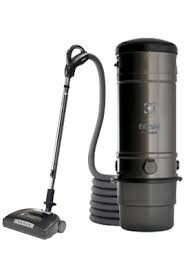 The application also required protection from dust and lint which could present a fire hazard. ZETTLER Magnetics’ 1VA BV series encapsulated transformer was ideally suited for this application, meeting all of the above requirements with the added bonus of costing less than an equivalent laminated transformer. The BV series’ epoxy encapsulation provides superior isolation and heat dissipation. 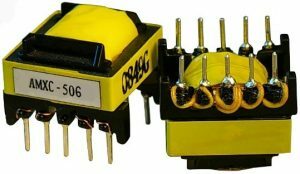 With small physical dimensions, yet still meeting UL’s stringent class II standards, this transformer is suitable for a wide range of industrial control applications. ZETTLER Magnetics’ BV series is available in 115V or 230V inputs and from 0.35VA to 10VA. ZETTLER Magnetics builds the BV series on fully automated production lines which ensure consistent quality at a very competitive price. 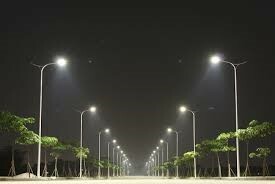 New forms of convenient solutions for smart energy and lighting are being developed rapidly. 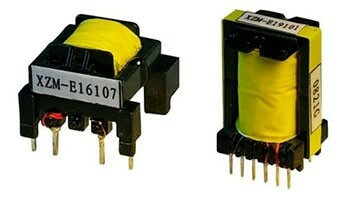 Applications of this kind require intelligent, robust and energy-saving power supplies. Recently, an industry leading provider of innovative and reliable indoor and outdoor lighting and controls solutions worked with ZETTLER Magnetics on the design of a USB “Type C” wall socket that combines a traditional electric outlet with USB charging receptacles. 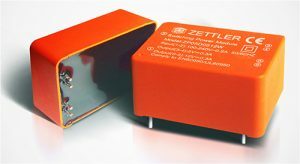 ZETTLER Magnetics provided a 3 Watt Switch-Mode Power Supply (SMPS) module with a wide 90-305VAC input capability and a 85 C ambient temperature rating as the appropriate power supply solution. The device contains UL approved tamper resistant shutters to ensure compliance with the 2011 NEC Article 406.12, requiring all 125V receptacles in dwelling units to be tamper resistant. ZETTLER’s new HP series high performance 1 Watt to 3 Watt power supplies are specifically designed to deliver universal and energy saving capabilities required in many new smart energy market applications. These high efficiency plug-and-play solutions for low power applications are cost effectively manufactured by ZETTLER Magnetics China fully automated lines. For similar solutions or to discuss the wide variety of application opportunities for the range of ZETTLER Magnetics Transformers, please contact the author.